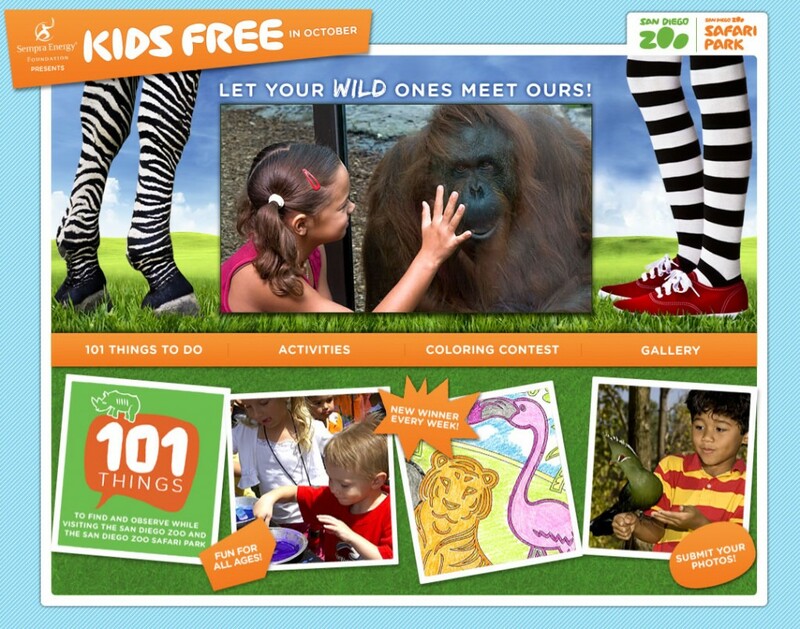 Heads Up: Kids are Free in October at both the San Diego Zoo and the San Diego Zoo Safari Park! Summer is winding down,and I’m finding it hard to believe that there is only one week left in August! Yikes! Time has flown by this summer. I like to make sure I get this post in pretty early to make sure you can plan accordingly. During the month of October The San Diego Zoo and The San Diego Zoofari Park offer free admission to kids 3 to 11! Each year, from October 1–31, in honor of the Zoo’s founding, children ages 3–11 are admitted free to the Zoo and Safari Park when accompanied by an adult. That means an entire family can head to either park and only mom and dad, or mom or dad have to pay! It’s a great time to visit either the park. The weather cools down, the summer tourists are gone, and it creates an ideal situation to visit either park. We are proud members of the zoo, and honestly October is my absolute favorite time to visit the zoo. It’s so nice to not be in a crowded place and really get to enjoy the park without sweating up a storm. It actually can get a little chilly in the late afternoon, so make sure to pack a light jacket. If you’ve been wanting to visit the San Diego Zoo or Zoofari Park, make sure to take advantage of Kids Free in October! You can’t beat FREE! This entry was posted in Uncategorized and tagged Free San diego zoo, Free San Diego Zoo Safari park, kids Free, Kids Free in October, kids free San Diego Zoo, San Diego Zoo. My son was ready for adventure!!! Disclosure: This is not a compensated post. Complimentary tickets were provided for review purposes. However, all opinions are my own and we really loved the show! 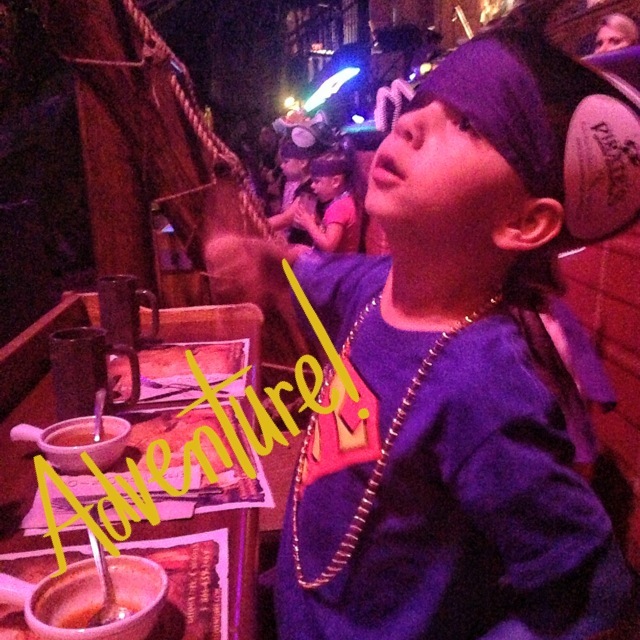 We had the opportunity earlier in the month to check out the all new Pirates Dinner Adventure Show in Buena Park. We had experienced the show a few years ago when the kiddos were a little younger and I couldn’t wait to check out the new show. Let me just say this… It is really good. So good in fact, that my mother, who isn’t impressed by really anything, was clapping, cheering, and having the time of her life. The fun starts the moment you check in. Everyone is given a colored ticket. This ticket includes your table number and the color, is the color of the pirate you are cheering for. We were lucky enough to cheer for the purple pirate. My son who is absolutely in love with pirates, was as you can imagine ecstatic! The show never had a dull moment. It was fun from beginning to end! The show is fun for the entire family. It is action packed and fun to watch. Whenever we go out on adventures with the kiddos, I love to sit back and watching the experiences through my children’s eyes. I almost cried as I watched my son. He was so into the show. He was waving, clapping, and his eyes glued on the performers at all times. You can imagine how excited both of my children were when they were called upstage for some audience participation. They were so excited! I really loved that the show invited many of the children in the audience up to the stage. It only got better from there, as my son was selected as the future pirate from the group. He was grinning from ear to ear, and couldn’t stop talking about it for days. We really enjoyed the show. My favorite part of the show was the aerialists. They are so graceful and daring. My heart always skips a beat as they perform in the air. My mom and I couldn’t stop oohing and aahing. Now it is a dinner show, so let’s talk food. Dinner was delish! A three course meal is included with the price of admission and it comes with soup or salad, a main entree (chicken or ham), and dessert. We all chose the vegetable soup and chicken dinner. It was really tasty. Like so tasty, we talked about it on our way home. I’ve been to other dinner shows and usually it is well bland. The dinner at Pirates Dinner Adventure was the complete opposite. We had a really enjoyable night out as a family and we really made some fun memories. Pirates Dinner Adventure has shows throughout the week at various times. Regular Admission prices are $58.95 + tax for adults, and $39.95 for children. They run promotions throughout the year and during the summer admission prices start as low as $23.00 for children and $33.00 for adults. 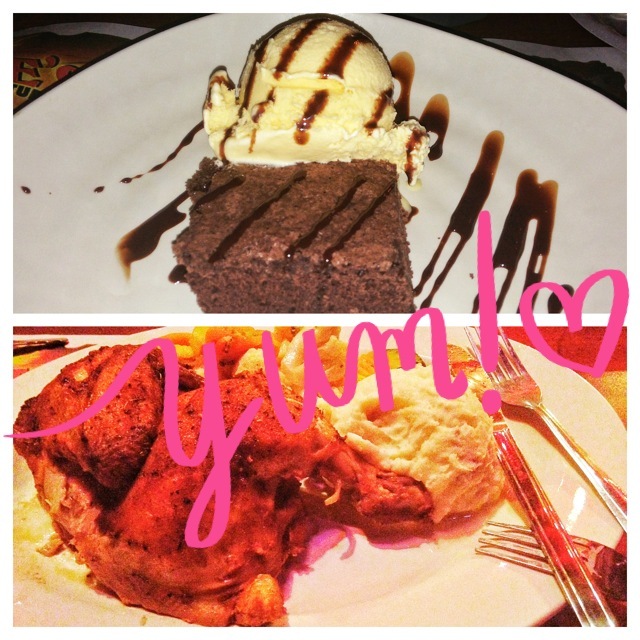 It’s a great place to celebrate a birthday or a special occasion. For additional information head here. 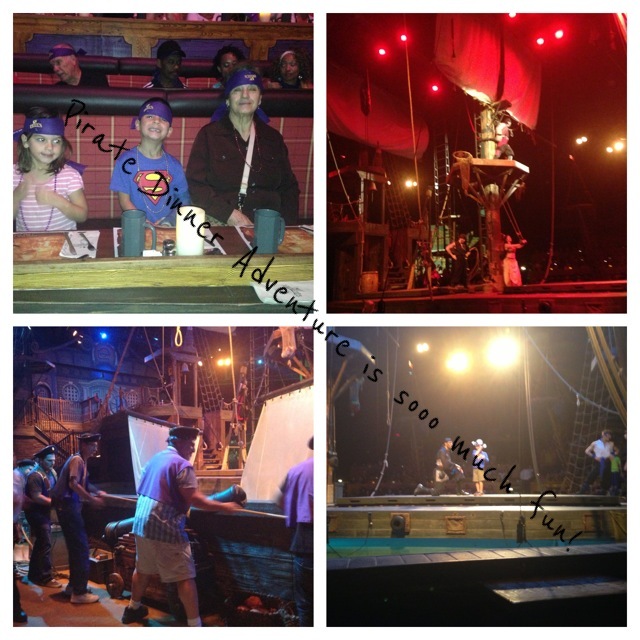 This entry was posted in Uncategorized and tagged Buena Park, Buena Park Dinner Show, Pirate Dinner, Pirate Dinner Adventure Show. 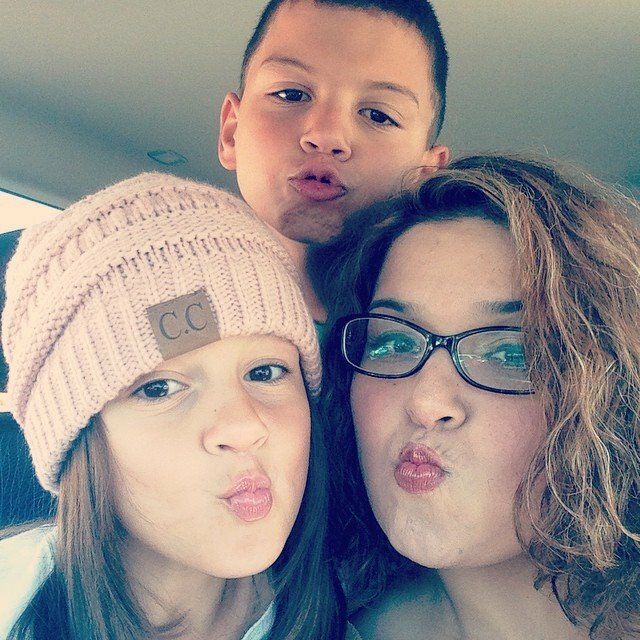 Glamping at the KOA San Diego: Making Memories as a Family! 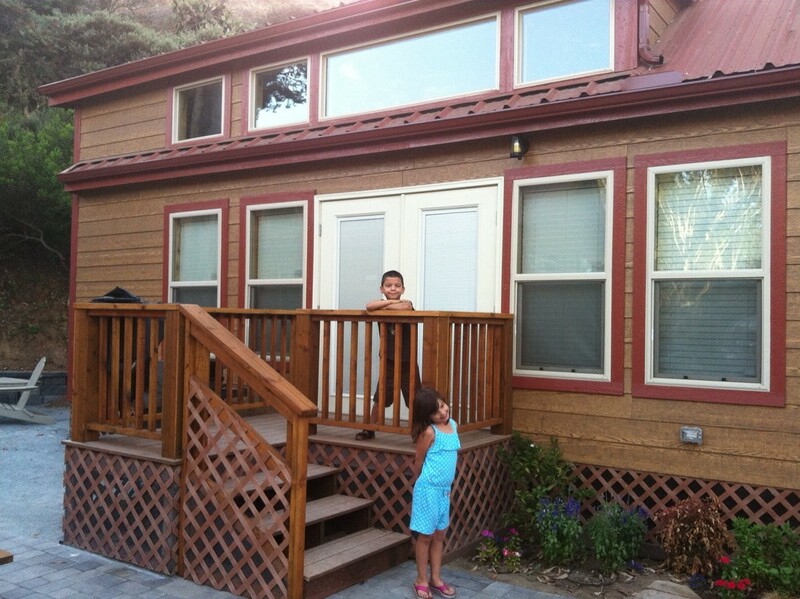 The San Diego KOA Deluxe Cabins are absolutely gorgeous! Disclosure: This is not a compensated post. Complimentary accommodations were provided for review purposes. However, all opinions are my very own, and we really had one unforgettable weekend! 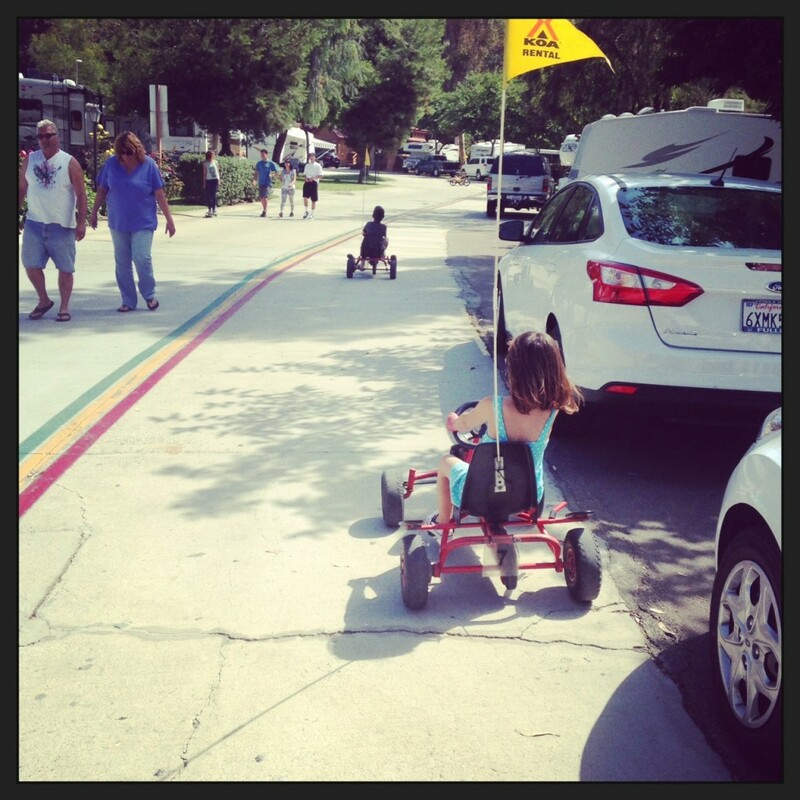 The San Diego KOA is the 2013 campground of the year and I now know why. The staff are amazing, the activities are super fun for the entire family, and the cabins are absolutely pristine. The new deluxe cabins can sleep a family of six and feel quite luxurious. There are three flat screen TV sets, air conditioning, wi-fi, a nice kitchenette, a room with a bunk bed set (which the kiddos claimed as soon as they walked through the doors! ), a room with a queen sized bed, and a sleeping loft. It was a slice of heaven in an urban oasis. The deluxe cabins also come with a gas barbecue and a fire pit. We enjoyed barbecuing and making s’mores as a family. We brought our groceries from home and enjoyed a fun and relaxing weekend without ever leaving the campground. 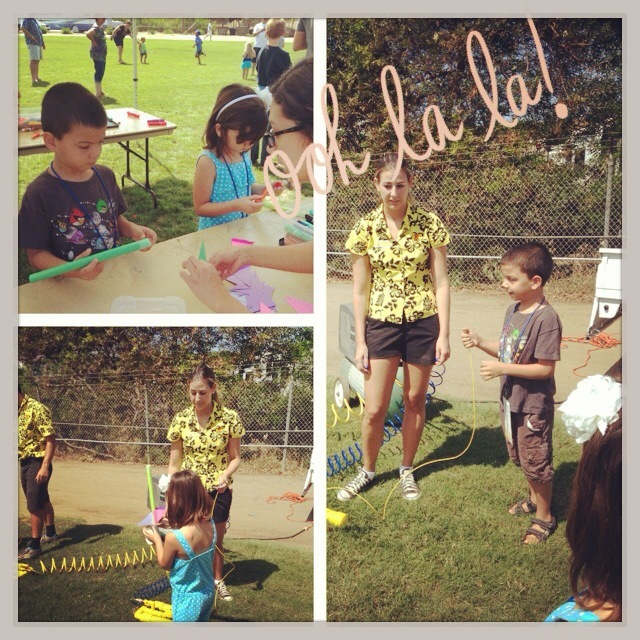 We all had so much fun enjoying the activities the camp provided. The kids rented fun bicycles and had fun exploring the campground. They also had a blast making and launching their own rockets, making tie dye shirts, and watching a puppet show as the sun went down. We really made some amazing memories and I would really love to go back again with my sisters and parents. We watched as three families rented cabins side by side and had the time of their lives. I honestly never would have considered camping, until I “glamped” at the San Diego KOA. We didn’t really have the opportunity to take a summer vacation and I’m glad were able to make so many memories while glamping. I would have never really considered camping, until we discovered the San Diego KOA. Now I can’t wait to go back and camp! The San Diego KOA has given me a code to use to book on any type of accommodation. You can rent any type of cabin, tent site, or RV spot, using the code CL, and receive 25% off your stay. Cabins range from $150 to $235 depending on the season. 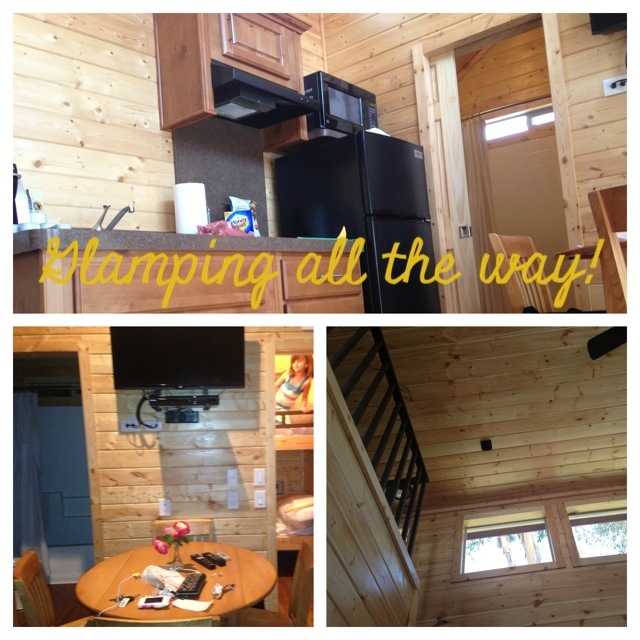 The cabins work great for family reunions and boy/girl scout trips. I honestly can’t wait to go back again! For additional information head here. This entry was posted in Uncategorized and tagged Deluxe Cabins KOA, Glamping, KOA Cabins, KOA San Diego, Urban Camping San Diego.